There’s Bob, an old boyfriend. And Bob Dylan. And Philip Roth and Robert Altman. They’re just four of the guys, old guys, who appear on Amy Rigby’s new album, The Old Guys. 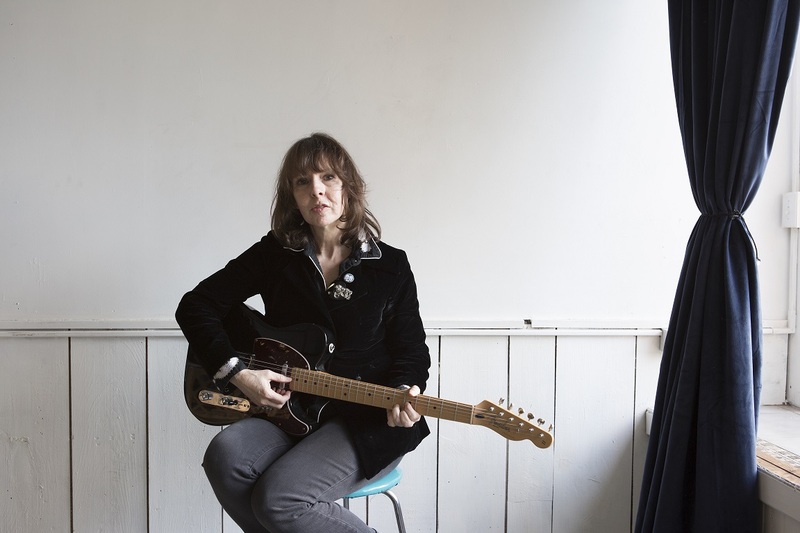 The characters, fictional, real, and imagined, are joined on the album by back-in-the-day choices Rigby had to make between cassettes and CDs, and current decisions like whether to have a beer or a glass of wine and her hope “that it’s okay I still drink.” There’s also road songs like “Back from Amarillo” and” Playing Pittsburgh” on the elegiac The Old Guys, Rigby’s first solo record since 2005’s Little Fugitive. She kept busy in the intervening years with two international moves, first to join her husband, Wreckless Eric (Goulden) in France, and then back to New York, where they have a home. Rigby made three albums with Wreckless Eric, played music, and tackled other artistic pursuits. All the while the calendar kept flipping. The record was produced by Wreckless Eric and recorded at their home studio, with Rigby playing guitar on all 12 songs and keyboards on half of them. The Old Guys is available in vinyl and includes a download, and as a CD. Rigby has also produced an accompanying booklet with lyrics, and her stories, drawings, and photos. 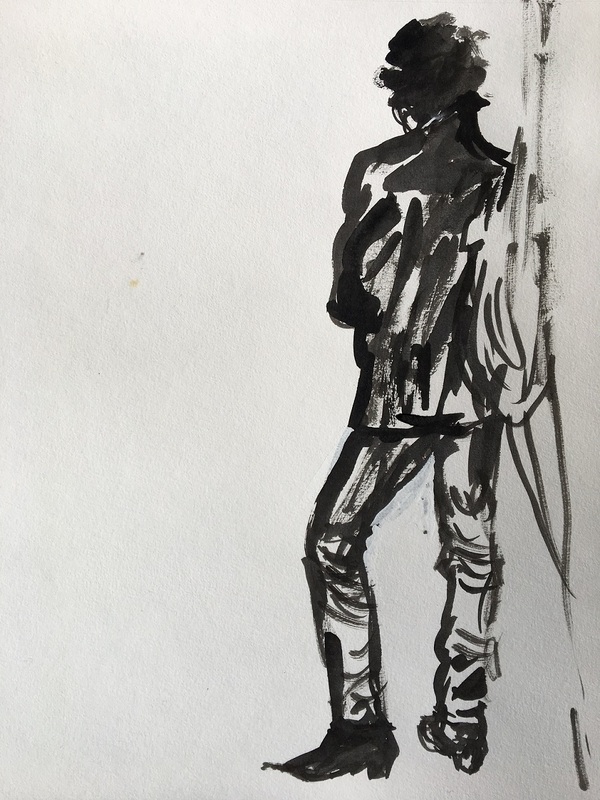 The album’s first track is “From philiproth@gmail to rzimmerman@aol.com.” Over thunderous power chords Rigby imagines an email from Roth to Dylan after he has won the Nobel Prize. Yeah, Roth expresses some bitterness in the song, and maybe just a bit on behalf of Rigby, but it’s really the everyman quality of the singer that Rigby is celebrating. Rigby reluctantly admitted to seeing herself as well in the song “The Old Guys.” The song reflects her admiration for the first waves of rock musicians who, she said, with courage and imagination, took music into new directions. If Rigby has now joined the ranks of “the old guys,” it’s a place a lot of other “old guys” can relate to. 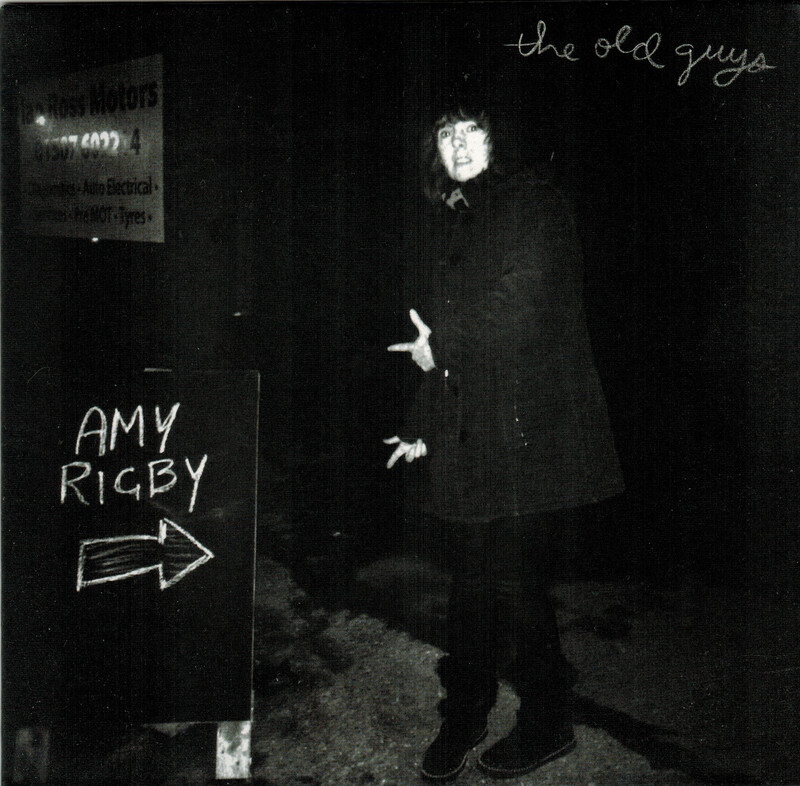 Visit Amy Rigby’s website to purchase “The Old Guys” and the accompanying booklet, and to see her tour dates.